Doctors didn’t expect him to live through multiple surgeries, much less go on to steer media giant Viacom towards unprecedented success. But Redstone, with unequivocal resolve and driving ambition, has done just that. After graduating from Harvard Law School in 1947, Redstone worked briefly for the U.S. Justice Department and a Washington D.C. law firm before joining his father’s drive-in movie business in 1954. Redstone eventually took over the business and turned it into National Amusements Inc., a theater chain that operates hundreds of movie screens across the United States. Redstone, after several years in the business, began to tire of National Amusements, according to published reports, and began investing in Hollywood studios. He made millions by buying and selling shares in Twentieth Century Fox, Columbia Pictures Entertainment and MGM/UA Entertainment, according to the Gale Group. Redstone then set his sights on Viacom, then the nation’s tenth largest cable operator at the time, realizing cable was intruding on his movie-going business. Using earnings amassed from National Amusements, Redstone acquired 83 percent of Viacom’s public shares in 1987 for $3.4 billion. With Viacom, Redstone now controlled Viacom’s several cable networks, including MTV, Comedy Central, Nickelodeon, and Showtime. Redstone eventually introduced MTV, one of the world’s most successful cable networks, into Europe, Australia, Latin America, Russia, China and Japan. After a prolonged and hostile bidding war with Barry Diller, owner of QVC Network, Redstone bought Paramount Communications in 1994 via a stock swap. A purchase of Blockbuster Entertainment Corp came later that year. In 2000, Redstone bought CBS for $39.8 billion, and with it came a majority interest in Infinity Broadcasting. Redstone split the company in 2005, with the cable and film division forming one entity and network and radio another. 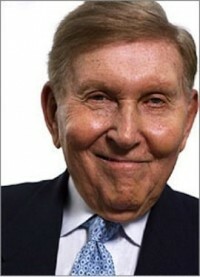 Forbes ranks Redstone 86th on its 2007 list of the world’s billionaires, with a net worth of over $8 billion. But guiding Viacom into the 21st century has not been an easy task for Redstone. Viacom growth has recently stalled with the recent purchases of online entities that have fallen flat and the unsuccessful attempt to acquire MySpace. And after purchasing DreamWorks studio in 2006 for $1.6 billion, Viacom’s relationship with the Hollywood studio has soured. DreamWorks, founded by Steven Spielberg, David Geffen, and Jeffery Katzenberg, is actively looking to raise enough money to split from Viacom or reach a deal with another studio. Midway through 2008, Viacom’s stock is down 30 percent, topping other media giants in losses.